however, there is no charge or other requirements for access. I e-mailed the Corps a few days before I went and they e-mailed the permit. 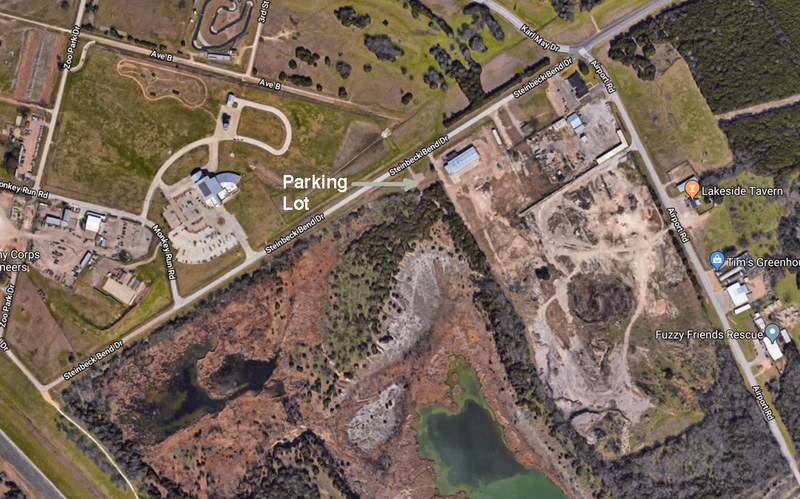 Using your GPS, put in 7324 Steinbeck Bend Drive and it should get you to business next to the parking lot. The permit is to be displayed on the dashboard of your car while parked in the designated lot. The pit is the grey area just below the parking lot. It is a short walk through the woods to the pit on an established path. 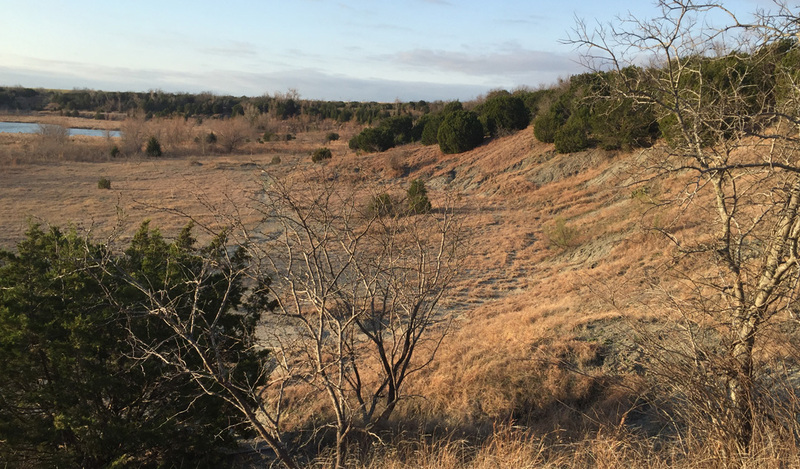 The pit is located near the Waco Lake Dam and was a source of material to build the earthen dam. It is easily large enough to occupy the entire day. I recommend that you be prepared for muddy conditions and you may need to wade through some shallow streams. Wellies are a good idea. The banked areas drop into the basin. 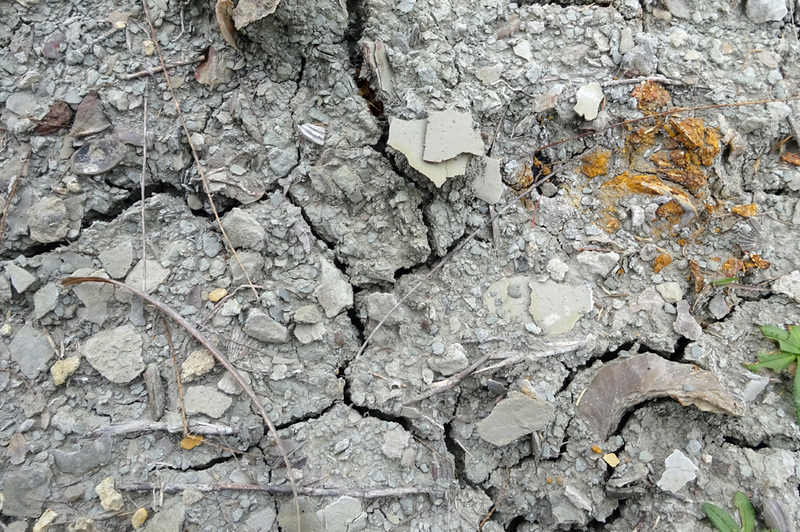 There are exposures all along the banks and in the basin. The floor of the pit can be quite mucky. 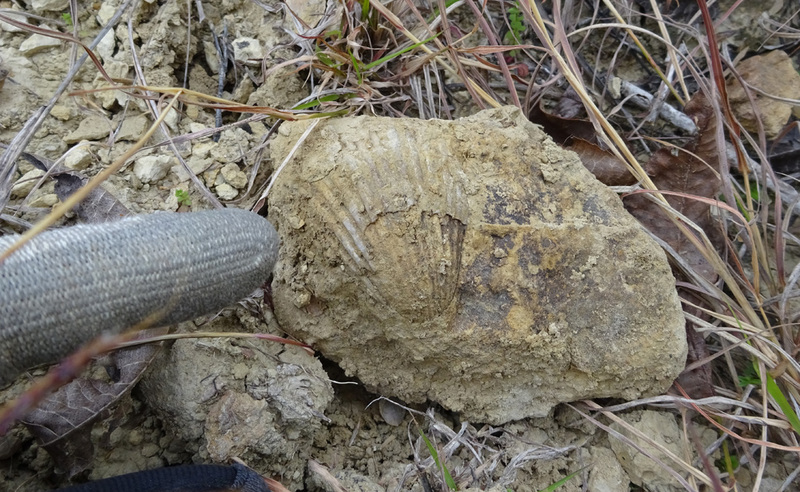 The shale is highly fossiliferous. 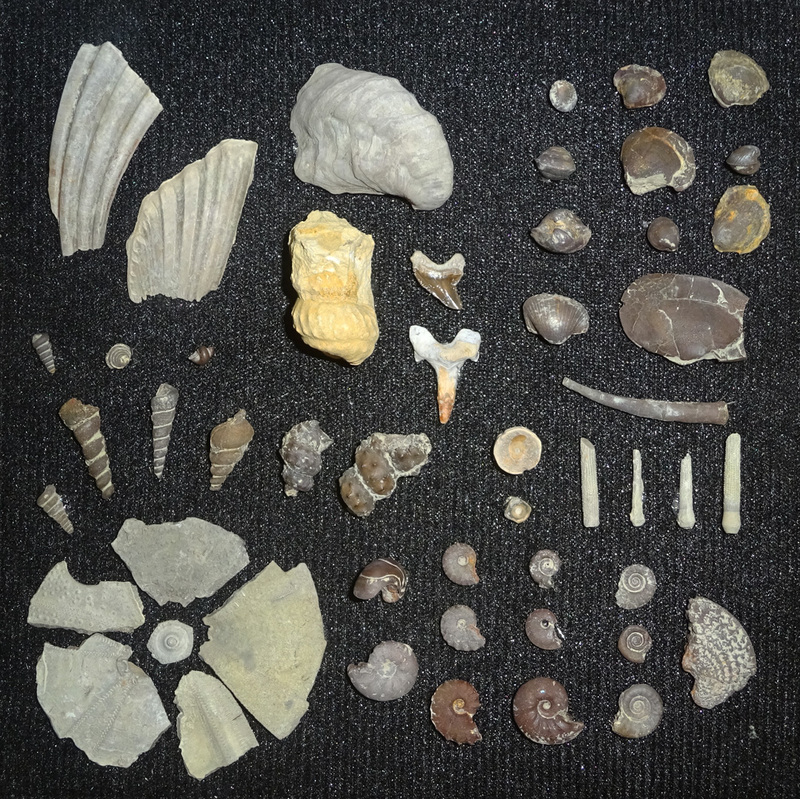 You can find a variety of fossils including shark's teeth, ammonites, echinoids, gastropods and bivalves. I had my best luck on the flatter sections of the sloping sides of the pit. 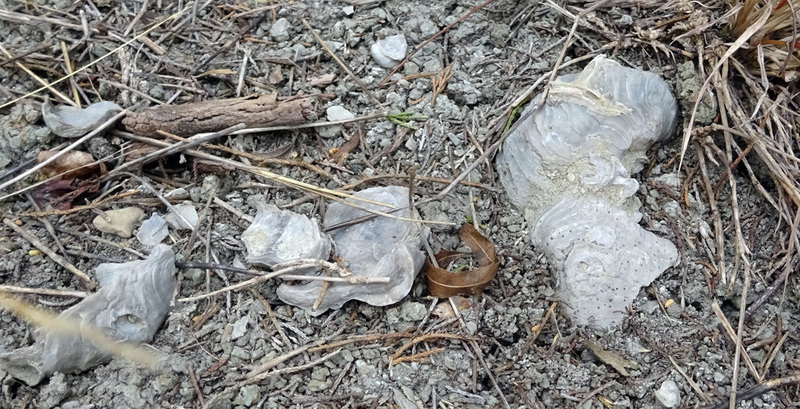 Oysters of the Gryphia family are quite prevalent and are the largest fossils I saw. I found two small shark's teeth from two different species. They are not easy to find here. Larger specimens can be found in the higher layers coincident with the Gryphia oysters. 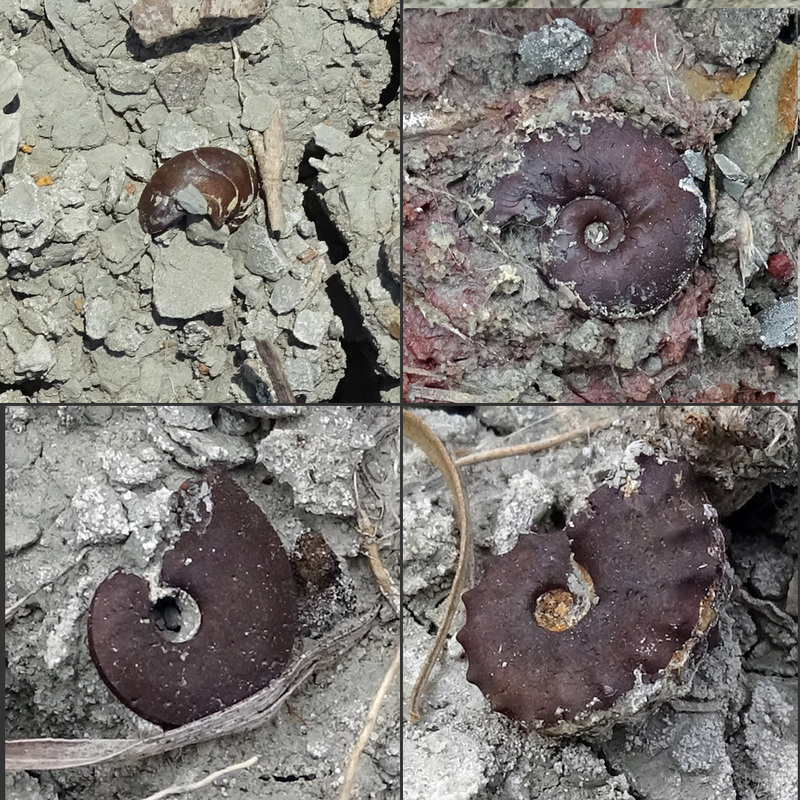 I found examples of at least four different species of pyritized ammonites. All of these are quite small, less than 1 cm. In addition to the oysters, there are a number of other bivalves, some are larger and some are very small. 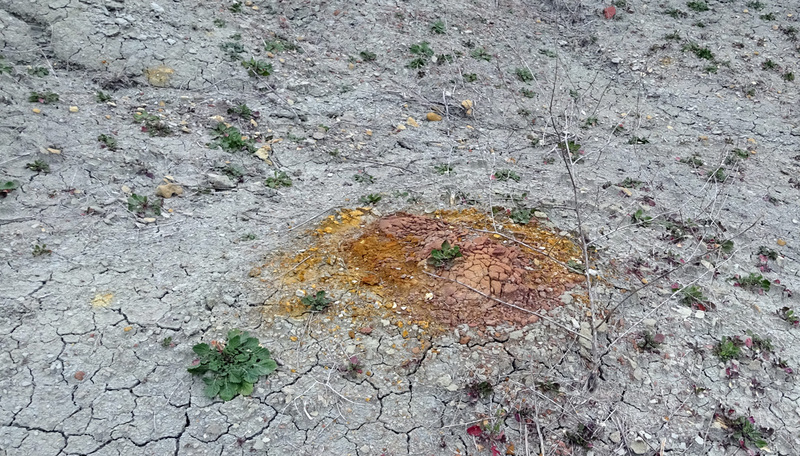 These red spots are prevalent on the floor of the pit. I do not know what they are. 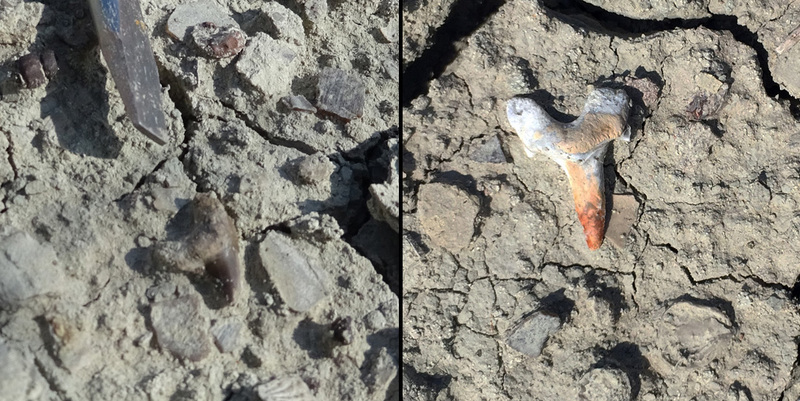 The fossils found at the Waco Pit are generally small but well preserved. 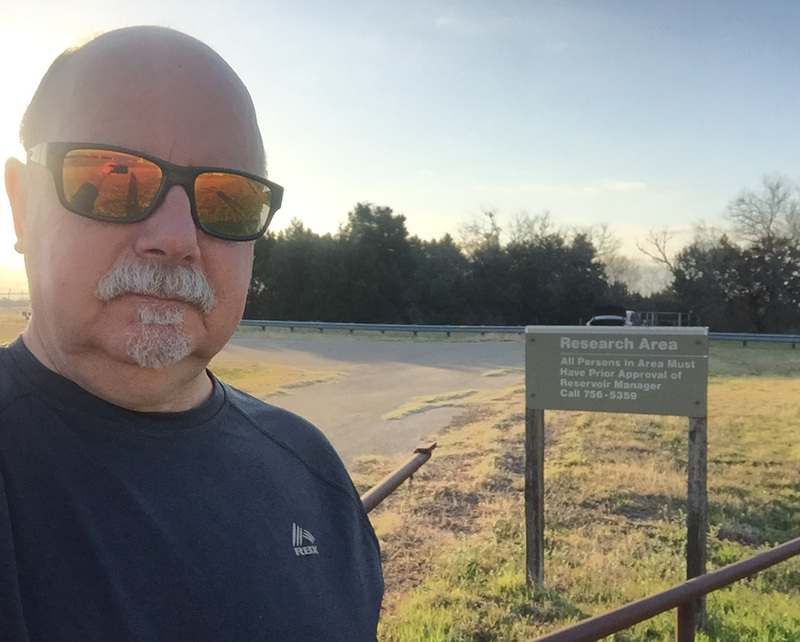 I visited this site in the spring of 2106. 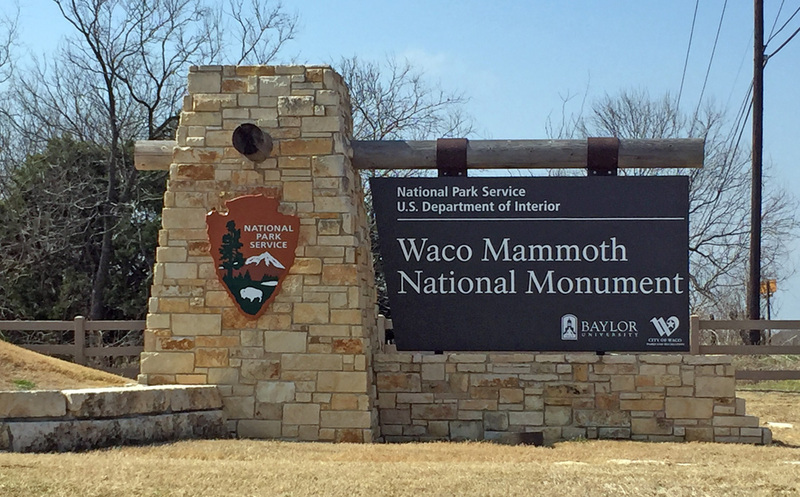 Only about a mile away is a fantastic museum featuring a dig where numerous mammoth fossils were found. When in Waco this is a "must see" site. Allow about 2 hours to see it well.